Tonight’s Dinner is ready! This is a hearty, healthy meal that makes a great family dinner. 1. Preheat oven 400 degrees. Heat 1 tbs oil in large pot over medium heat. Add zucchini, bell peppers, celery, and garlic. Cook and Stir until tender. Add remaining ingredients. Heat boiling, stirring. 2. Prepare cornbread mix according to package directions. Add 1 tbs sugar and cream-style corn. Spoon batter on top of chili mixture. 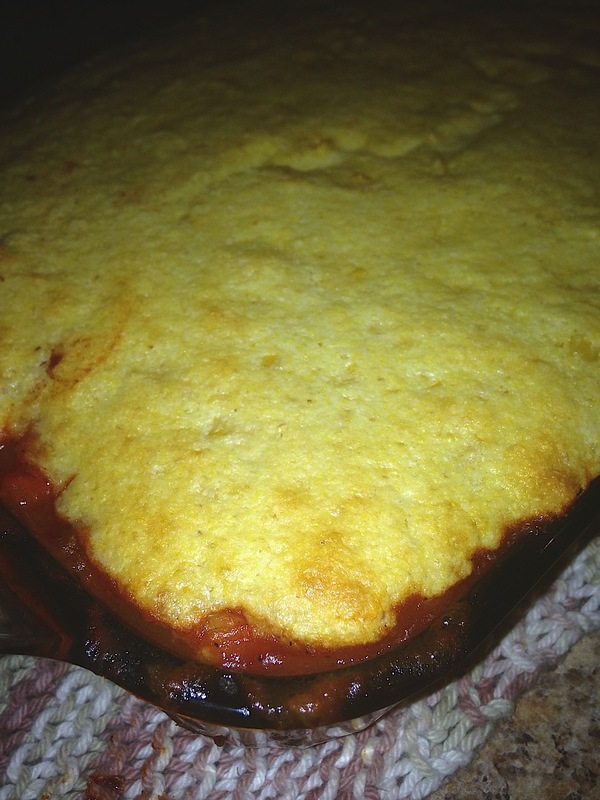 Bake 30 minutes or until cornbread is golden brown and mixture is bubbly. Next Post Top 6 White Fruits & Veggies !